Disney Pixar’s Inside Out available TODAY!!! I am so excited for this one!!! 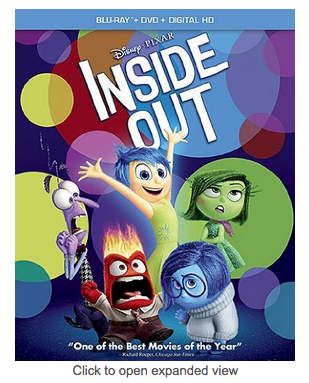 Disney Pixar’s Inside Out is now available digitally!! This is one of my favorite kids’ movies now, you can read my Inside Out review here. You can order it digitally on Amazon here. Or, you can pre-order the DVD/Bluray which comes out on Nov 3.